(Bloomberg) -- Schaeffler's proposed changes to terms governing $7.9 billion of high-yield bonds, including a new 1.8 billion euro ($2.3 billion) loan, are being opposed by Schroders Plc., which manages some of the supplier's debt. Investors must decide by Thursday whether to increase the company's debt-to-earnings ratio and approve the new 1.8 billion euro ($2.3 billion) loan, according to documents seen by Bloomberg News. "It doesn't seem rational for bondholders to accept these kinds of terms," said Patrick Vogel, a money manager at Schroders in London, which manages $464 billion of assets including more than 100 million euros of Schaeffler bonds. "We're not consenting to the changes." Schaeffler is seeking to reduce debt it accumulated from buying a stake in fellow German supplier Continental amid the credit crisis in 2008. 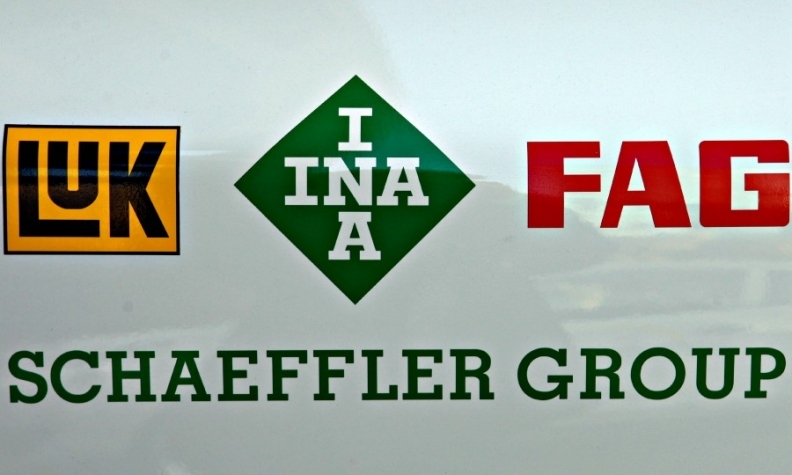 It's proposing to increase the company's consolidated secured leverage ratio to 3.75 times from 3.25 times and remove Continental shares as collateral backing some of Schaeffler's existing bonds, according to an emailed statement. Schaeffler is refinancing existing loans to establish a "typical corporate-style capital structure," Christoph Beumelburg, a spokesman at the bearing maker, said in the statement. "At the same time, we are asking for an alignment of terms across the various bond tranches and a clean-up of other terms and conditions." The proposed changes simplify its capital structure and make it easier for Schaeffler to carry out an initial public offering or sell Continental shares, CreditSights analyst Brian Studioso wrote in a note to clients. Schaeffler issued about 2.2 billion euros of bonds in May as part of a 3.5 billion euro refinancing, according to data compiled by Bloomberg. The 1.8 billion-euro loan replaces part of that debt.